Pop art prankster, Ron English is nothing short of a modern master. 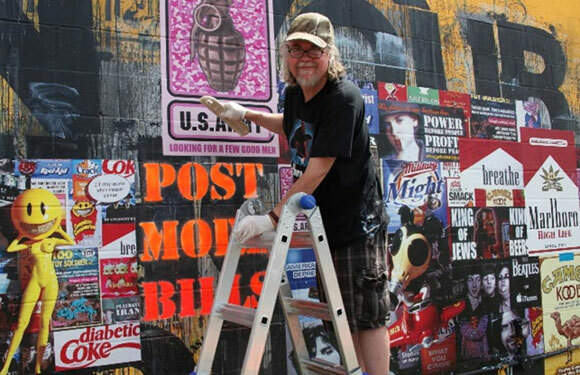 The culture jamming genius will be the featured artist for a Modern Monday film exhibition at the MoMA January 9. This evening will feature Pedro Carvajal’s 2005 documentary feature Propaganda: The Art and Crimes of Ron English, and a sampling of English’s recent moving image works, including the Detroit Project from his ongoing video-posting series. After the screening, English will engage in a discussion with Paper magazine editor Carlo McCormick. The show goes on at 7pm in Theatre 2. MoMA members can reserve their tickets here.